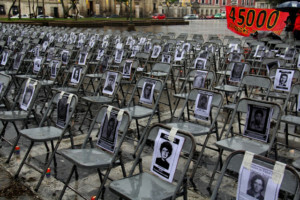 450 chairs are set up in Guatemala City on June 30, 2017 to commemorate the 45,000 people disappeared by the Guatemalan military. Credit: CPR Urbana. Photo: Faces of some of the people forcibly disappeared by the Guatemalan National Police during the conflict. 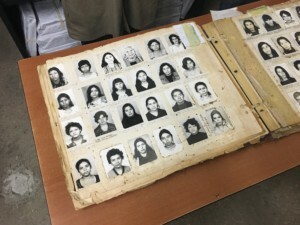 In 2006, an illegal detention center was unearthed that housed millions of records meticulously kept by the police of the people that were disappeared. 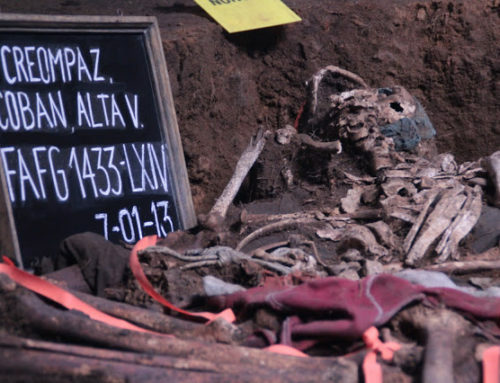 Many of those records are now being used as evidence to prosecute former members of the Guatemalan military. 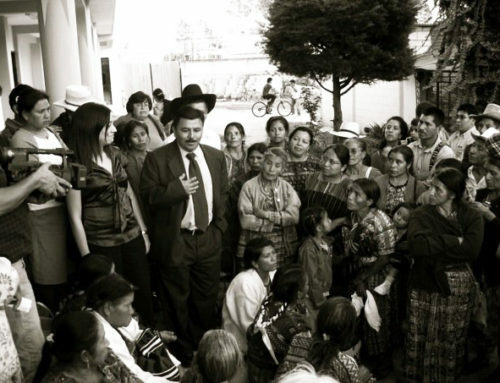 In Guatemala, many have come to think of historical memory as a “disputed territory.” Today, most of the people with political power deny or minimize the impact and extent of genocide in the country, carried out with direct support from the United States. 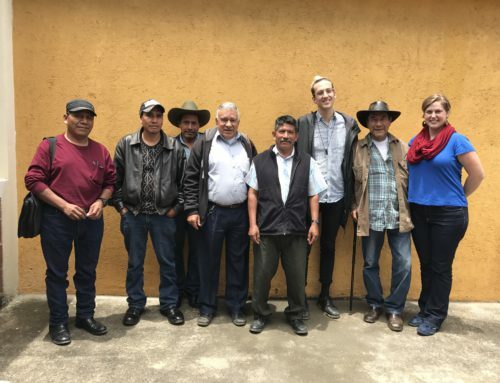 At the same time, communities work tirelessly to sustain the memories of the 250,000 people massacred or forcibly disappeared by the Guatemalan military and police during the Internal Armed Conflict. 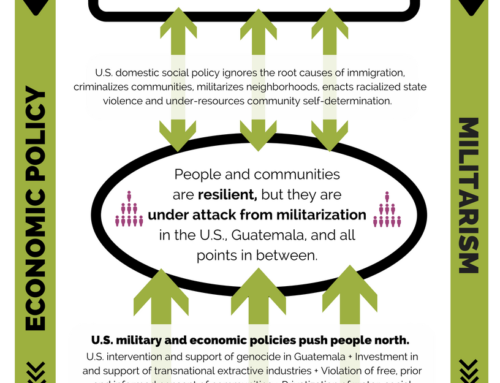 In the same way that ancestral lands and the human body have been targeted to oppress indigenous and campesino communities – not only in Guatemala, but globally – memory serves as both a site of violence and of resistance. In telling their stories, survivors directly challenge official narratives and reclaim a legacy of resistance to colonialism and oppression; speaking out poses a powerful threat to private and state elites who benefit from collective forgetting. With creativity, tenacity, and courage, survivors work daily to defend and restore collective memory of what happened during the conflict. Together, their work aims to guarantee that genocide never be repeated, while taking on the unfinished liberatory work of those who were taken by state violence. 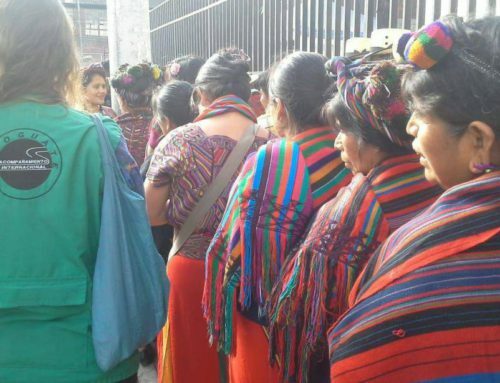 Today, more than four years after the historic verdict that convicted former U.S.-backed military dictator Efraín Ríos Montt of genocide against the Ixil people, struggles for truth, justice, and memory continue – in courtrooms and in the daily lives of survivors. The 2013 verdict came after decades of courageous determination and has opened the door for new legal victories to be won. 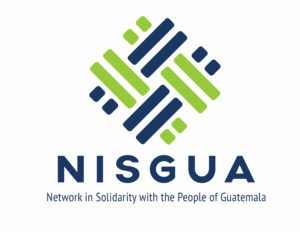 Every day, survivors, activists, lawyers, artists, healers, and educators fight for social justice and liberation in Guatemala. Historical memory runs through their work like a thread, connecting present-day movements with centuries of resilient struggle.